Logistics professionals are looking beyond features and functions, to collaborative partners and agile solutions that can scale and connect their supply chains for future success. As supply chains become increasingly connected and global, so does the need for the technologies and networks that help support them. Which is a big reason why companies continue to turn to Software as a Service (SaaS) solutions to help digitize and integrate their supply chains for future success. Organizations in all industries going to market are searching for more than just functionality from their solution provider. Writing a traditional Request for Proposal (RFP) can be a laborious and challenging process. Forming a clear and concise overview of what’s driving the outsourcing decision, drafting a detailed list of questions and business requirements, and even the selection criteria is critical in the vendor selection process. However, finding a vendor that understands your business and can provide the services to meet the proposed needs is just the tip of the iceberg. If done correctly, the RFP process can provide potential buyers with a greater understanding of what service capabilities are available in the market, and further insights into their own strategic business processes. But, too often the end result can leave the relationship feeling simply transactional, and may only provide patchwork to a current business challenge without any long-term flexibility to adapt to new market demands as they arise. Experienced transportation leaders are taking a new approach to their RFP process, where requirements now go deeper to explore continued value long after the initial investment and implementation period. Experienced leaders are changing their traditional RFP process to prioritize the relationship value of their software provider over cost and functionality. From the first engagement it’s about discovering what the true issues are and how day-to-day pain points can be eliminated. How is that different from a standard RFP process, you ask? Well, it’s about building trust. There are high expectations for what today’s solutions can do. Getting beyond the first level of functionality and partnering with a provider who is knowledgeable about your industry and willing to work with your company goals – one year, two years, ten years from now – so you’re continually getting the most value from your investment, is a good addition. This comes with a high level of engagement, not only from the sales contact, but from those who support and develop the service. 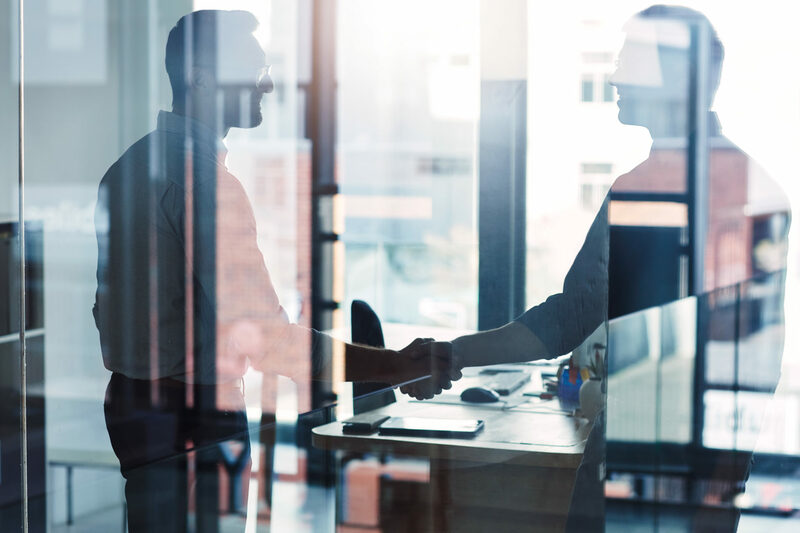 Engaging with a provider who wants to continually drive value and can align with your company’s goals, now and in the future, is essential to establishing trust. A provider who can understand a company’s challenges comes from having open and honest conversations beyond an online questionnaire with yes-or-no dropdown answers. Giving background and detail to the five “Ws” – who, what, when, where, why – helps identify the right roles within the organization moving forward and cultivates an open outlook on new strategies…instead of simply automating old ones. Companies selecting a SaaS solution to manage thousands and possibly millions worth of their transportation spend are looking for more than just the lowest bid. They’re looking for a partner who is immersed in their everyday and understands how to best serve their customer base. Selecting a provider requires looking at a myriad of factors outside of the solution offerings. Companies often look to a vendor’s financial stability, business health, industry reviews, case studies and customer testimonials as important indicators when determining performance and service reliability. A request for partnership digs deeper to find a provider who can align with cultural and strategic initiatives. Understanding how a provider plans to innovate and grow helps determine that alignment with long-term goals. Is the solution customizable and scalable? Are there supplemental product offerings that can easily be integrated and work with the current infrastructure? Will the solution evolve to meet the demands of tomorrow? How is the solution supported? Ultimately, it’s a litany of line items that determines how well you can work with a provider to achieve continuous improvements. Determining the scope of work, network architecture, workload migration, and data are all discoveries of a traditional RFP process. Savvy supply chain professionals are finding the most value for their investment by going beyond the initial set of features and peeling back the layers of how a provider can support sustainability and growth for the future. In a future post, we’ll expand on how network collaboration, stakeholder feedback, and access to an ecosystem of innovative solutions and experts are additional ways that software partners can continue to deliver value long after the go-live date.